The book is an excellent reference for those who want to follow the ebb and flow of the body throughout pregnancy and honor the birthing experience as the natural process it is meant to be. This fully revised update of the foundational text on birth assisting offers professional guidance for both aspiring and veteran midwives. The book extends well beyond natural child-birthing experts to include anyone seeking thorough and compassionate guidance on what to expect during each stage of pregnancy, birth and postpartum recovery. 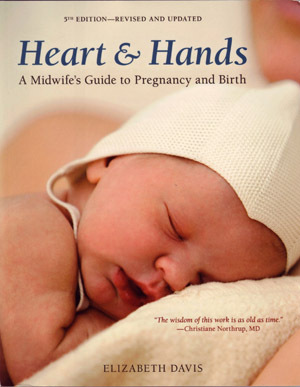 It has been the most trusted guide for midwives and expecting parents for more than three decades. This edition includes new photographs and illustrations, updated resources for parents, a current list of midwifery schools and reflects the latest research on the physiology of childbirth and some important topics, such as the fetal effects of ultrasounds. Combining time-honored teachings with the most current obstetric techniques, this essential reference empowers birthing helpers and parents to create a truly woman-centered birth experience. The book is an excellent reference for those who want to follow the ebb and flow of the body throughout pregnancy and honor the birthing experience as the natural process it is meant to be. Expectant parents will find comprehensive answers to their questions about natural approaches to pregnancy, birth and working with a midwife. Davis, an internationally renowned authority, has been a midwife, women’s health care specialist, educator and consultant for more than 30 years. $35 — 10 Speed Press, an imprint of Crown Publishing, a division of Random House, 6001 Shellmound St., 4th floor, Emeryville, CA 94608. Reprinted from AzNetNews, Volume 31, Number 4, August/September 2012.